RARE SPENCER .50 CAL. HEAVY BARREL SPORTING RIFLE MARKED A.J. PLATE SAN FRANCISCO CAL. CA. 1870’S. RARE SPENCER .50 CAL. HEAVY BARREL SPORTING RIFLE MARKED A.J. PLATE SAN FRANCISCO CAL. CA. 1870’S. 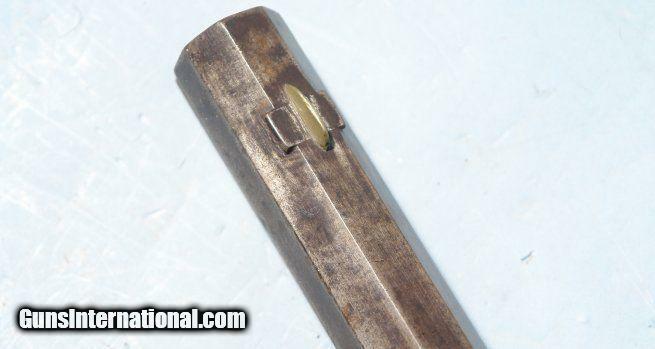 47” overall with 30” very heavy weight octagon barrel stamped “A. 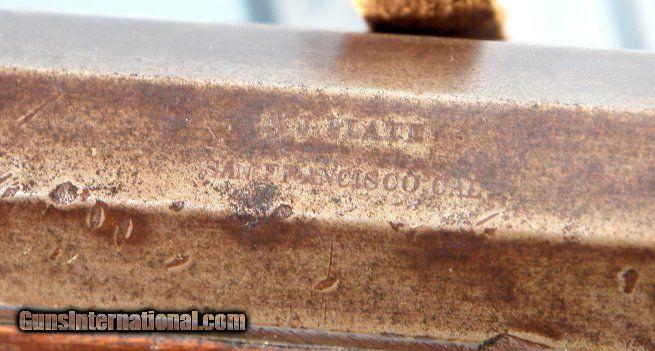 J. PLATE/ SAN FRANCISCA CAL” for the famous San Francisco, California firearms dealers that converted a small number of Civil War carbines to hunting rifles for the Western market. Dates to the Buffalo hunting and post Civil War Indian Wars era. Very good overall and all original. 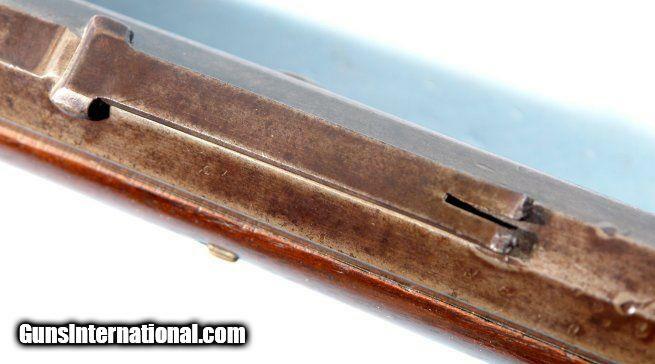 Has seen use one would expect from a Western Frontier rifle but is very handsome. Lock in working order. Extractor missing small internal retaining screw which does not effect the levering of the gun. Sight elevator missing. Dark but good original metal patina. Fair bore that should clean better. Wood good with worn original finish. Good markings. Weighs 13 lbs., 5 ozs. 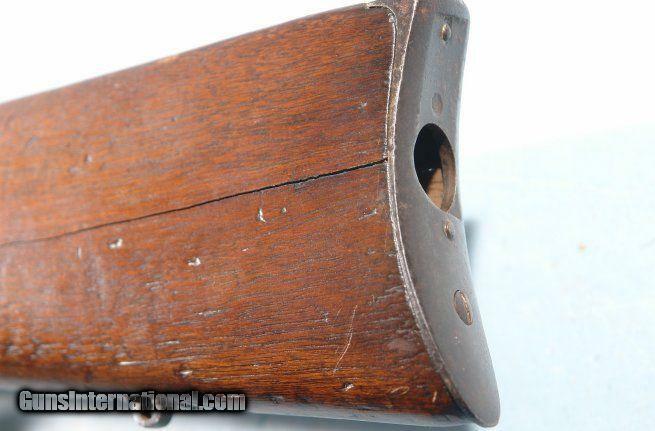 Very scarce and desirable San Francisco Frontier era rifle.